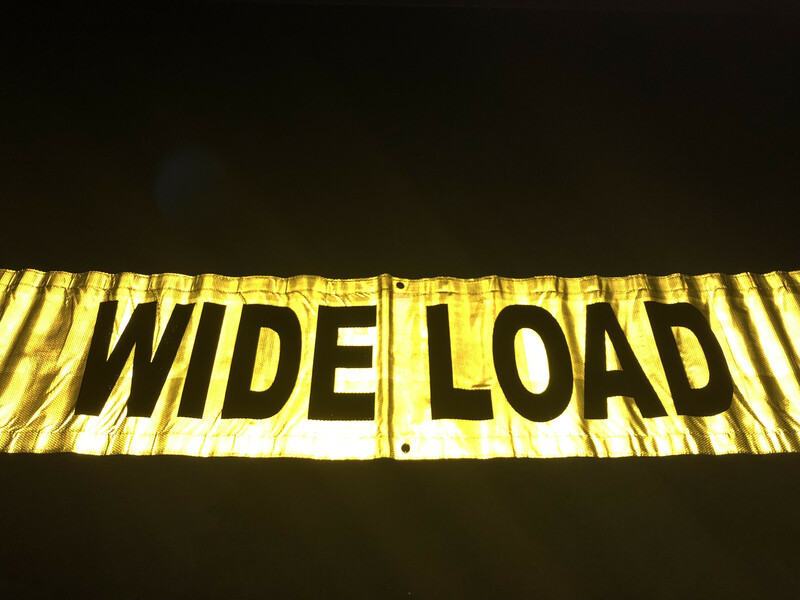 This oversized sign is made with a highly light reflective material that makes it more visible during night and low light. The outside edges have grommets and bungees for easy securing. 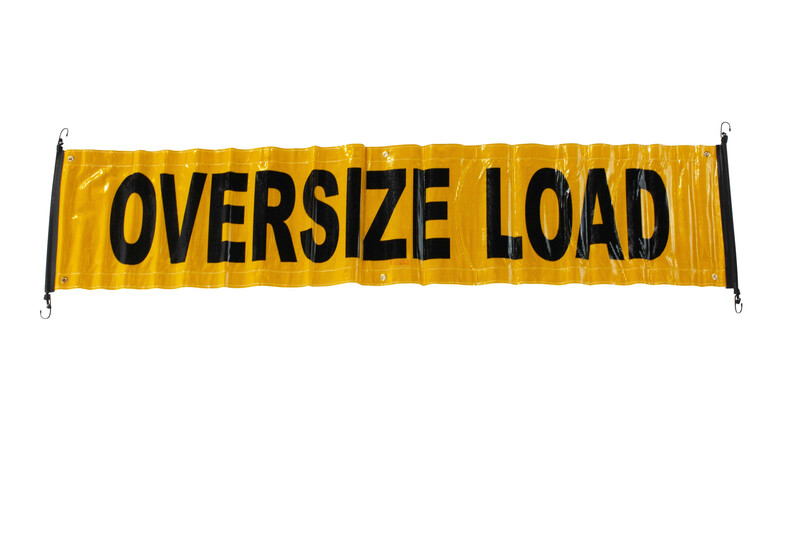 Reversible Wide Load/Oversize Load 18" x 84"